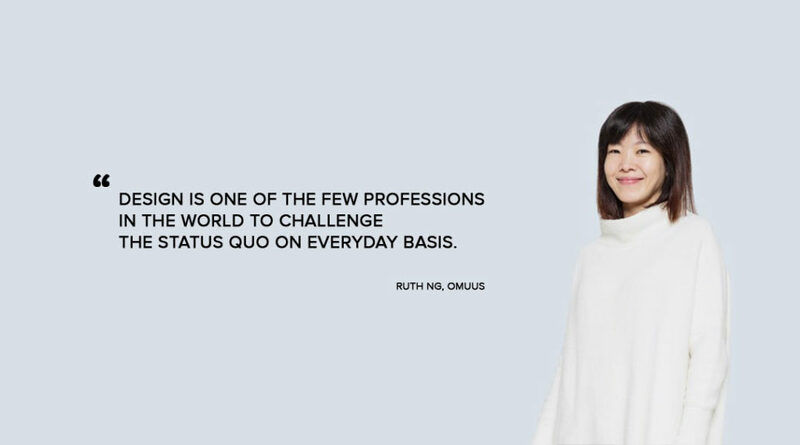 I am the only designer from Omuus permanently based in Shanghai China. I am often called to provide trend and design inputs from China’s consumer and market perspective – the pace in China, especially Shanghai is very dynamic. I have studied Industrial Design in University, but I have always been facinated on the materiarity of a product more than its form. After graduation my first job was actually in fashion industry, as a shoe designer. A job which as a young woman who loved fashion felt more than lucky to have. Upon hindsight, the most valuable experience I gained was to be hands on from the beginning to the end of the process. Starting from a design sketch, then sourcing for the perfect leather in Guangzhou, liaising with the factory to check its build quality and all the way to concepting how it is displayed in the shop. This paved the way to my now lifelong affair with colours and materials. Continuing to a design agency in Singapore consulting for brands such as Sony Ericsson and Nokia, and then moving to Beijing to join the Nokia CMF team. The experience and exposure I gained at Nokia have pushed me tremendously as a designer as well as a collaborator with R&D, marketing, sales, and designers. Spending extended time in China and working closely with suppliers also gave me valuable insights in the consumers’ attitudes and designing for mass production. After moving to Shanghai, I was introduced to Annina the founder of Omuus by Minna, my previous manager from Nokia. They offered me an opportunity to work with a team that had the same work culture that I’ve enjoyed and have experience with. Since then, it has been a journey of co-creation with a talented and family-like team that inspires me everyday. I remember sitting in a bus in Nepal a few years ago and seeing a young man holding a mobile device in his hand that looked really familiar. With a closer look, it turned out to be the first device that I designed for Nokia, Asha 206. Being able to witness someone enjoying something that you designed, across the globe when you least expect it, was truly an amazing feeling. Another highlight is when I got the opportunity to go on stage at BMW Welt in Munich to accept an iF gold award for Asha 501. It feels exceptional to have your design appreicated by other design professionals. This is probably the most asked question to every designer. My answer is kind of cliché but true: Daily observing the people and different interactions and conversations with objects and people around me are the most valuable source. Visual and mental stimulation from articles, magazines, books, exhibitions and movies are also indispensable. HOW IS THIS (LOOK & FEEL) ACHIEVED IN MASS PRODUCTION/REALITY? When we present design concepts to clients, beautiful renders are neccesary to capture their imagination. We also know that being able to realise the same level of visual quality in production as promised in the renders is as important. So production feasibility is something we always keep in mind and look for material solutions as daily bassis. Design is one of the few professions in the world to challenge the status quo on everyday basis. What excites me is that we as designers are given the liberty to suggest innovative approaches to people. It entails the responsibility to challenge product design with the most fitting material and also to colour out of the box in the most elegant shade.